How may we help you? 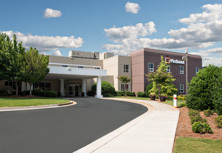 Whether you’re a patient or visiting a patient at our Northside Campus, your comfort and needs are important to us. 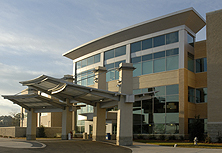 Visitors are an important part of patient care and family and friends are encouraged to visit. Patient comfort and safety may require limited or suspended visitation at certain times. Suggested visiting hours are 10 a.m. – 10 p.m.
10 a.m. – 10:20 a.m.
12 p.m. – 12:30 p.m.
2 p.m. – 2:20 p.m.
4 p.m. – 4:20 p.m.
8 p.m. – 8:20 p.m. It's our goal to make your visit as convenient, comfortable and pleasant as possible. People who can help are listed below. Pastoral Care services are available for supporting patients and families in challenging times. A chapel service is offered at Northside Campus on Wednesdays at 9:15 a.m. Our chapel is available to patients and visitors 24/7, and is located on the main floor. A chaplain is available to provide non-denominational pastoral care, support and counseling. The chaplain works closely with community religious leaders of all faiths and can arrange a visit from a minister or appointed spiritual leader of the patient's choice. We offer financial assistance to those who qualify. Call (706) 571-1672 for more information. A Guest Relations coordinator/patient advocate is available as a source of information and assistance. 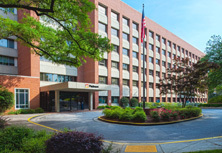 Contact the Guest Relations department at (706) 494-2430. 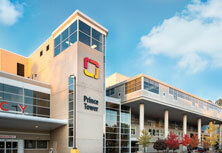 To secure valuables in a locked safe, contact Security by dialing 0 on a hospital phone. 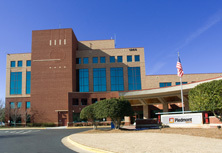 The hospital is not liable for the loss or damage to money, jewelry, documents or other articles kept in patient rooms. A family member may stay overnight with patients in their rooms on the nursing floors. Family members may not stay overnight in the Intensive Care Unit. A limited number of patient suite rooms are available. Suites can be requested through the Admissions Registrar during the admissions process. We offer several pharmacies for easy access. Find a pharmacy. Contact Security by dialing "0" on a hospital phone. 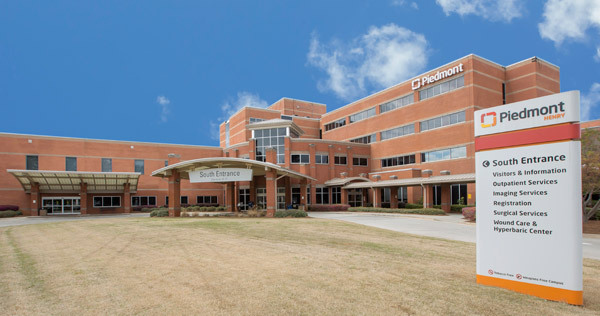 Piedmont Columbus Regional Northside Campus offers a weekly support group for stroke survivors and traumatic brain injury patients, as well as their families and caregivers. Monday - Friday Breakfast and Lunch -- 6 a.m. to 2 p.m.
Monday - Friday Dinner -- 5 p.m. to 6:30 p.m. Weekends -- 7 a.m. to 1 p.m. The gift shop at Piedmont Columbus Northside Campus is in the lobby on the first floor. Freshly cut flowers, floral arrangements and roses are offered in the gift shop. To purchase flowers, call (706) 494-2158 during gift shop hours. Orders can be placed over the phone and will be delivered to the patient’s room. 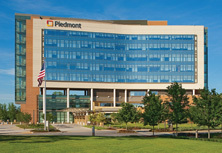 Piedmont Columbus Regional provides free wireless Internet access throughout the hospital. Look for Courtesy Internet on your mobile device’s available networks. For patient information, call (706) 494-2100.